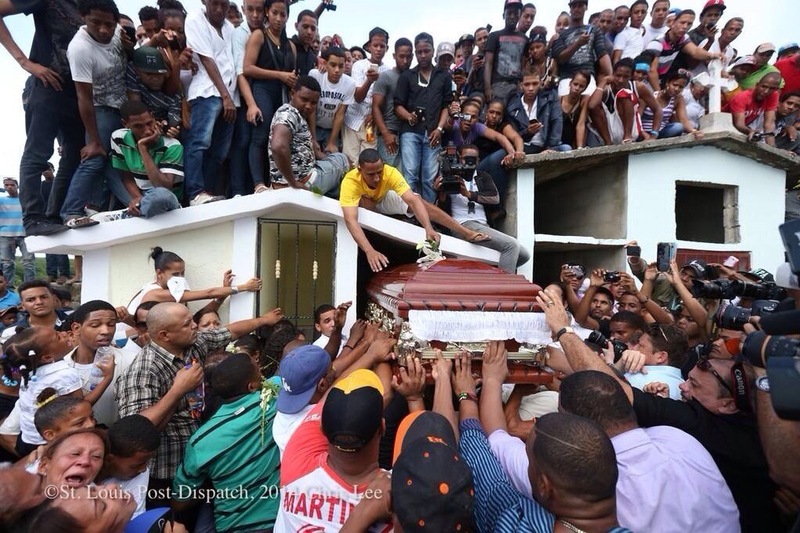 On 10/26/14, the world lost a young baseball superstar of great promise, Oscar Taveras. 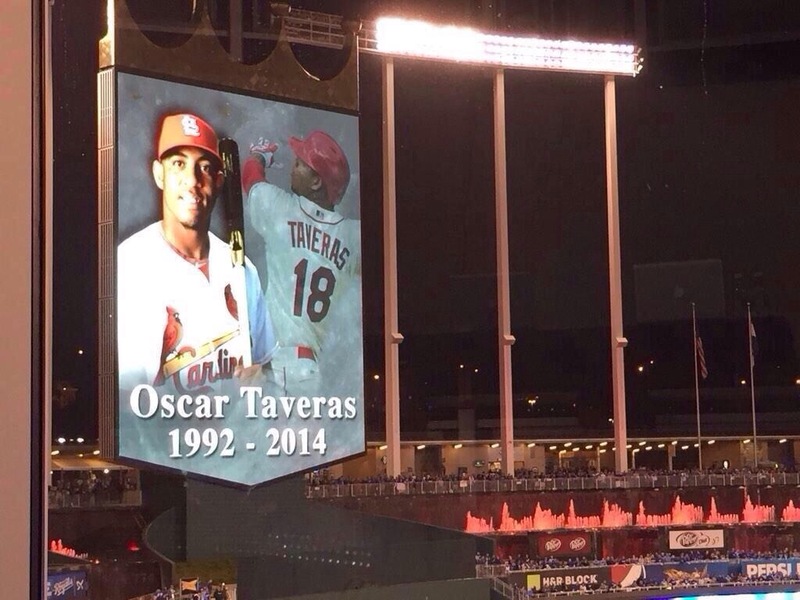 Baseball fans learned of this tragic loss during the 2014 World Series, when it was announced over the air. 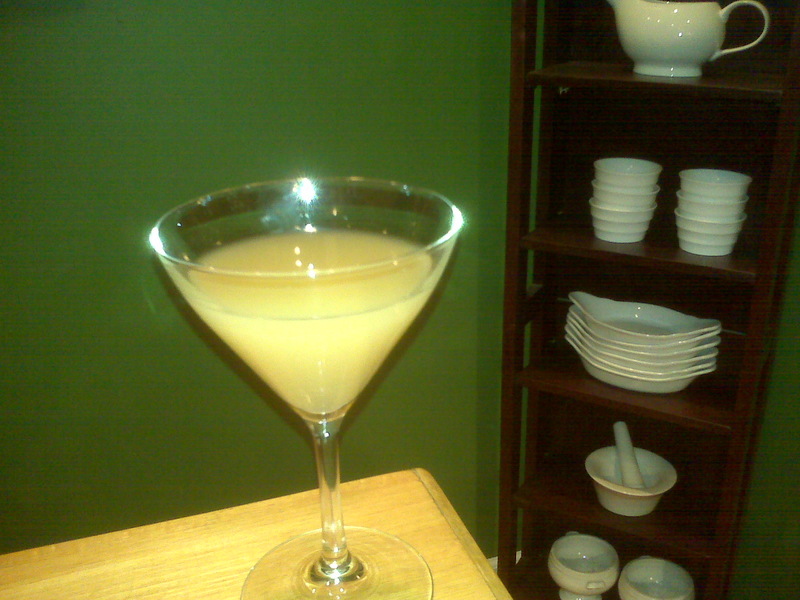 Although the excuse for this concoction of mine was due to my lack of motivation to mix a drink from scratch, has anyone ever seen this technique in use before? Perhaps not just a Manhattan plus the addition of one other spirit (like mine was), but maybe two or three complete cocktails put together – A cocktail made of a combo of other cocktails? 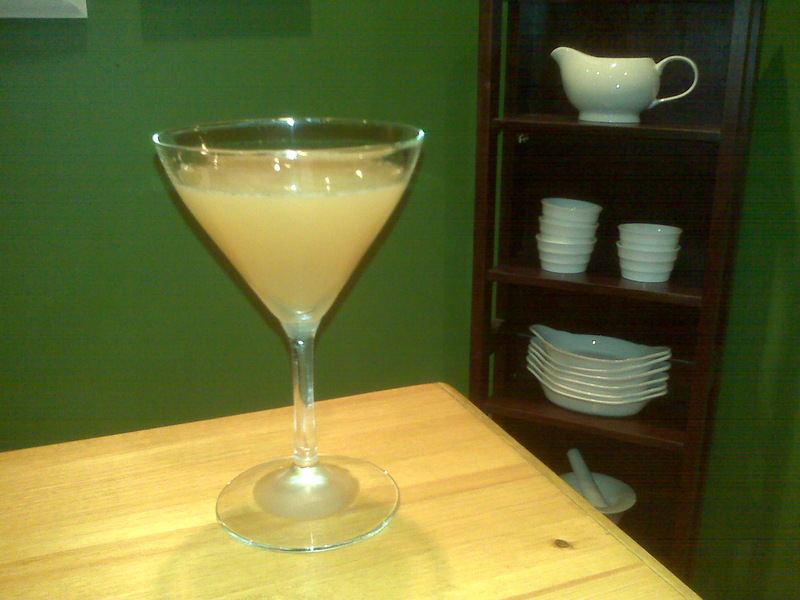 A “cocktail of cocktails”, so to speak. 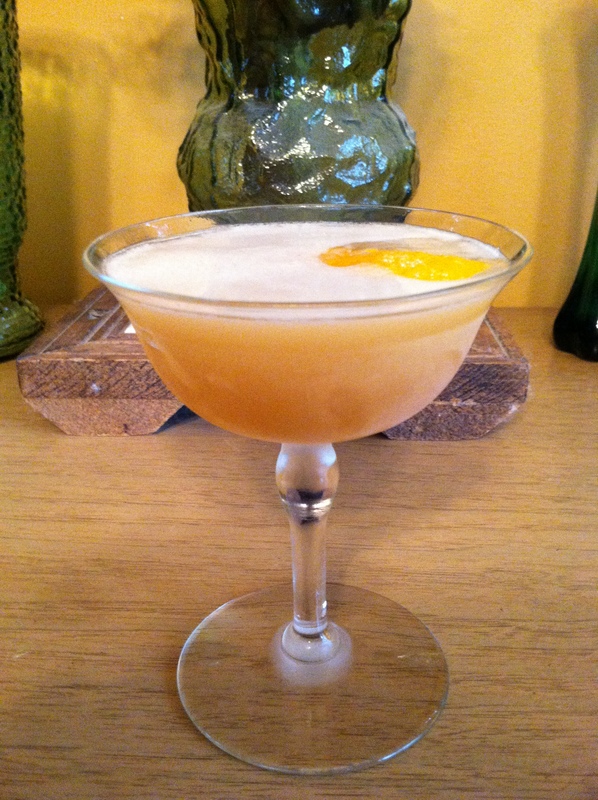 I’m back with a short blurb about cocktails in my home in the months of March and April. 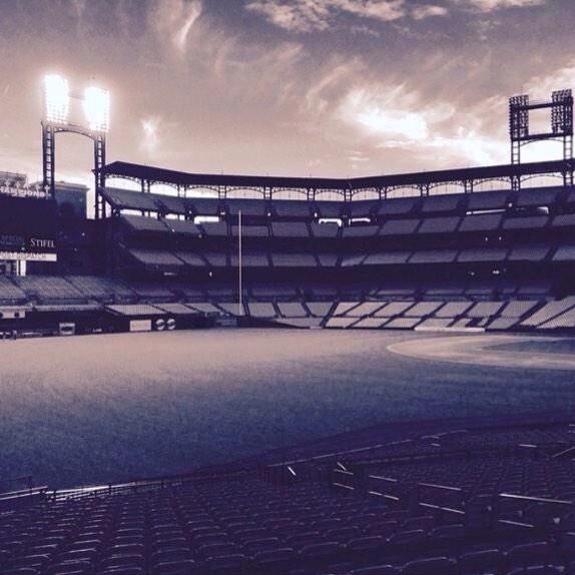 Baseball’s back, and that means that the weather in St. Louis is warming up. 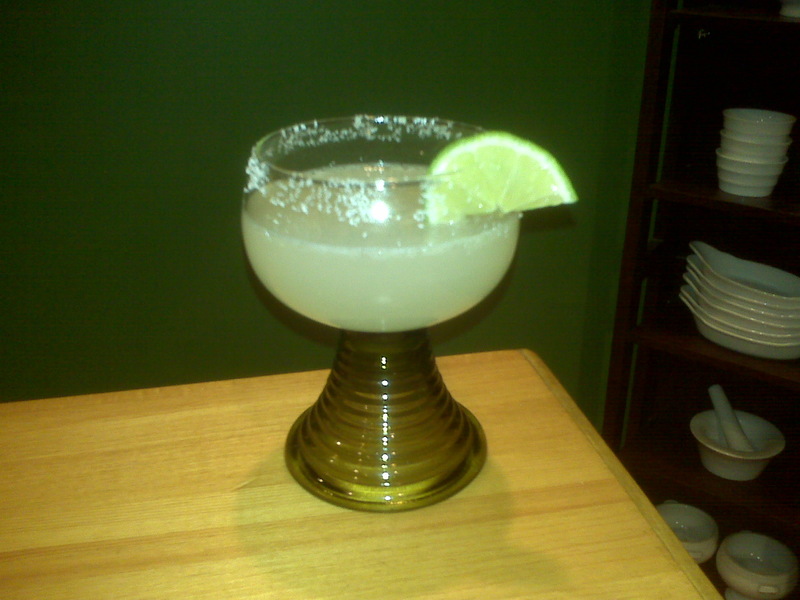 With hotter weather, that usually means lighter drinks, so that’s what I’ve been having a little more of these days. Just a “little more of” though, because I really tend to enjoy whiskey on a regular basis much more than say gin or tequila. But it’s hard not to crave some lighter, more refreshing drinks in the spring & summer time, so I’ve been making some easy-to-make tequila drinks on a warmer spring evenings – the Havana and the Tequila Sunrise drinks. I’m sure my taste for lighter drinks will only increase as the weather in town becomes swelteringly hot and unbearably humid. 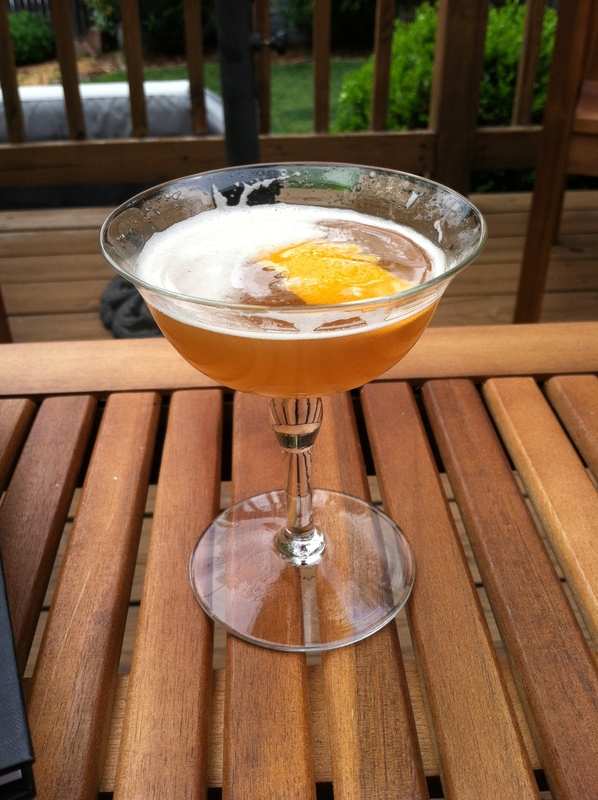 Also, I’m posting here some very basic cocktail recipes for 2 of the most classic cocktails of all time… the Manhattan and the Martini. These two classics are such staples that I’ve neglected to post anything about them up to this point, I think. 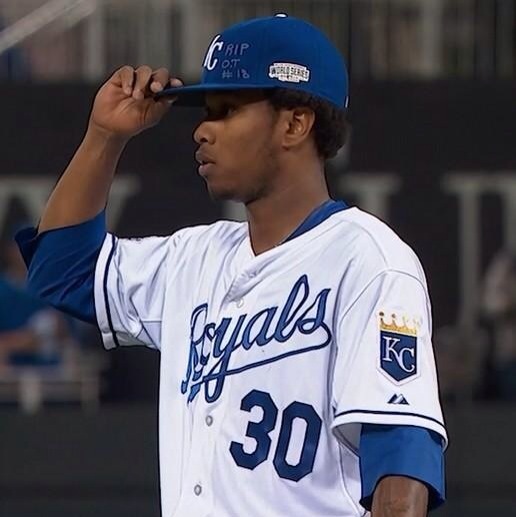 So I’m honoring them with a little attention and a little of the spotlight, for good measure. They are, after all, 2 of my favorite, go-to drinks. 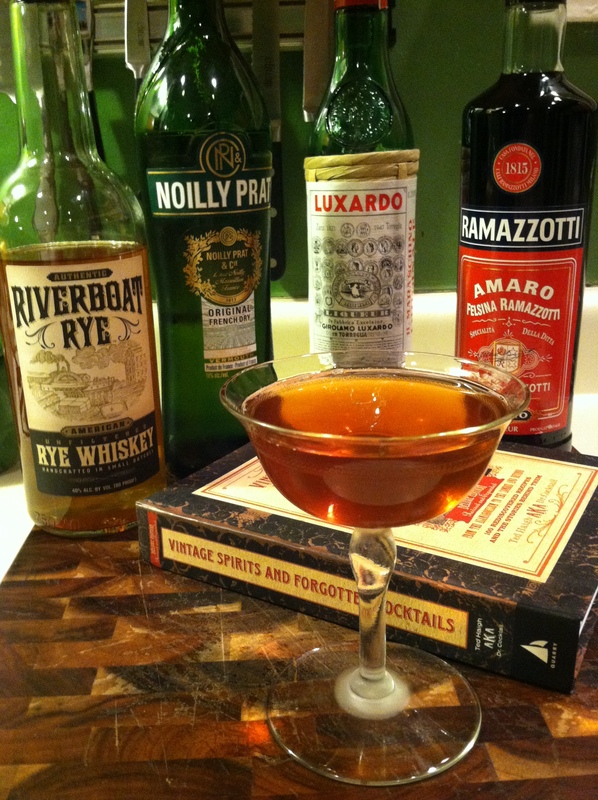 When I don’t want to mess around, and I don’t want to think too much, and I want to just go for an easy-to-make drink that can’t go wrong… these are the drinks. They’re perfectly simple. 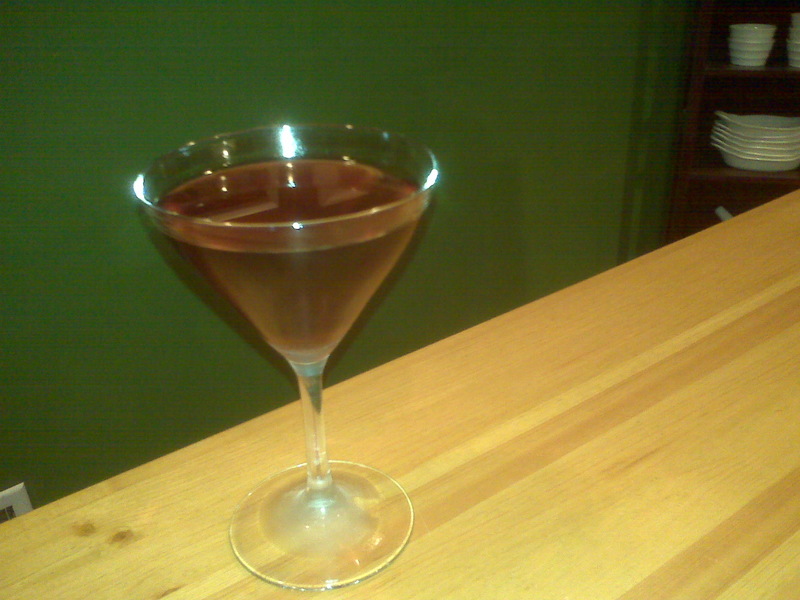 When I’m in the mood for whiskey, it’s the Manhattan (even though, half the time I’ll make the drink’s variation, a Dry Manhattan with dry vermouth and lemon, and the other half of the time, I’ll go for the classic Manhattan); and when I’m in the mood for gin, it’s the Martini. Both of these classic cocktails showcase the base spirit so perfectly and clearly, without having to drink either of the base spirits straight. 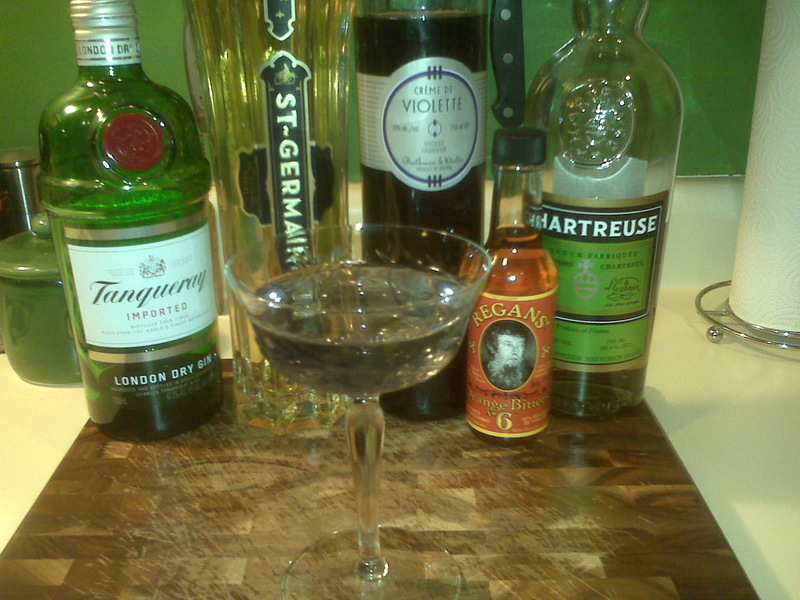 Vermouth plays the role of the red carpet in both drinks so perfectly, and lets the stars of the drinks shine through. 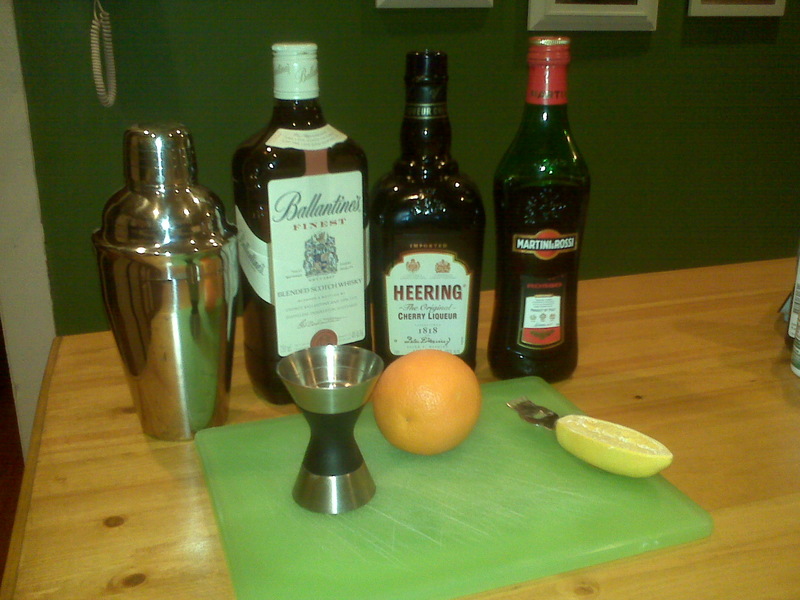 And last, but not least, I’m offering up a recipe for a drink that I’ve not yet tried, but I will be trying at some point this weekend. 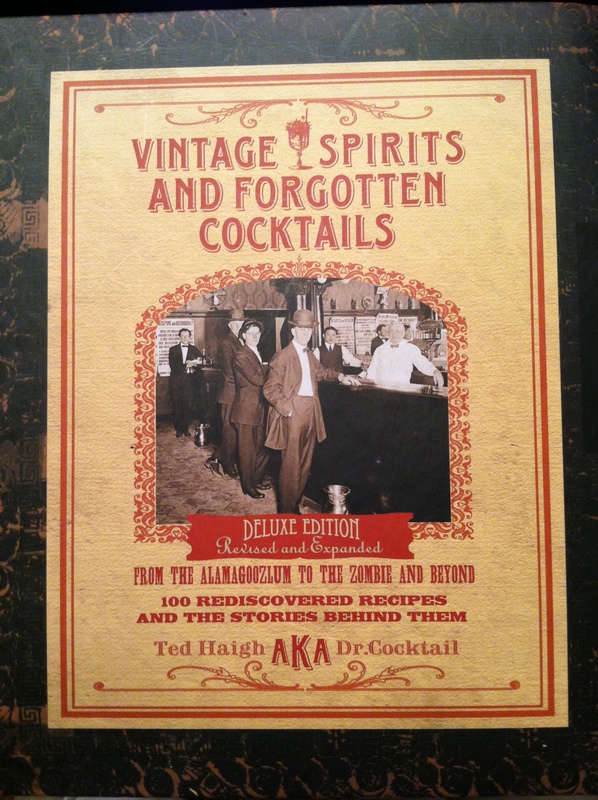 I tend to get very intrigued by cocktails with a good history behind them. 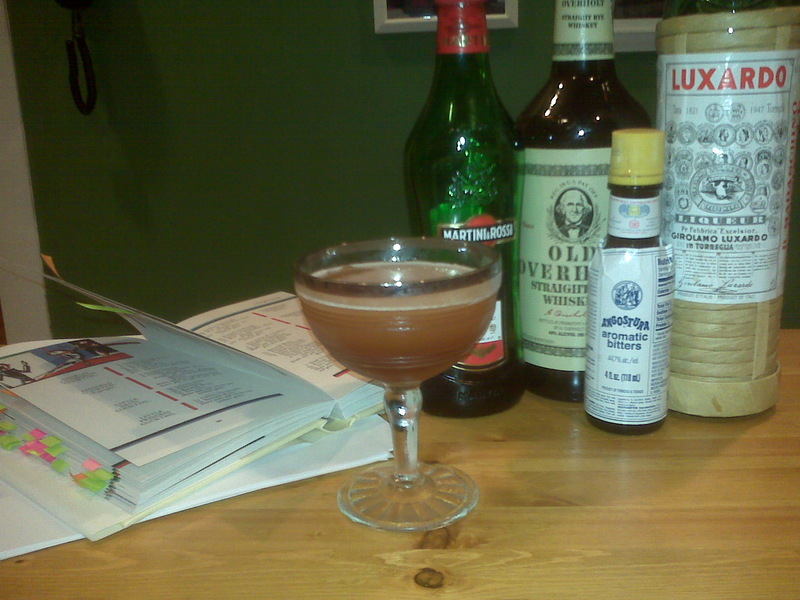 Ever since I started enjoying making cocktails and reading about them, I’ve been intrigued by one called the Sazerac. 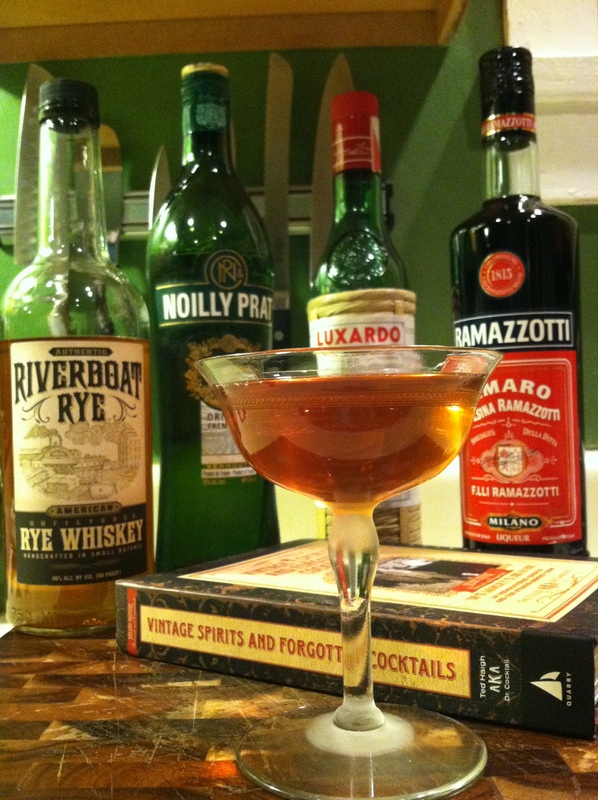 The Sazerac is apparently one of the first important cocktails. It’s a signature drink of the great city of New Orleans. 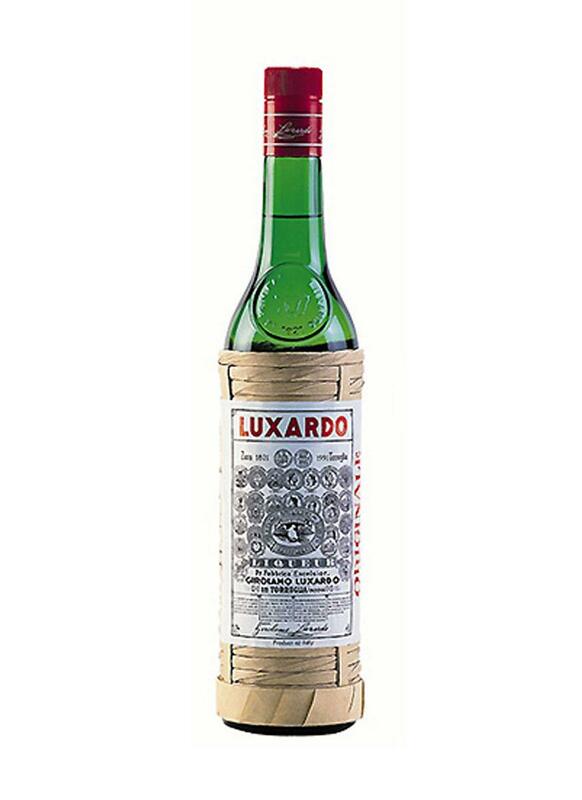 It was created in the 1860’s and was originally made with cognac as its base. 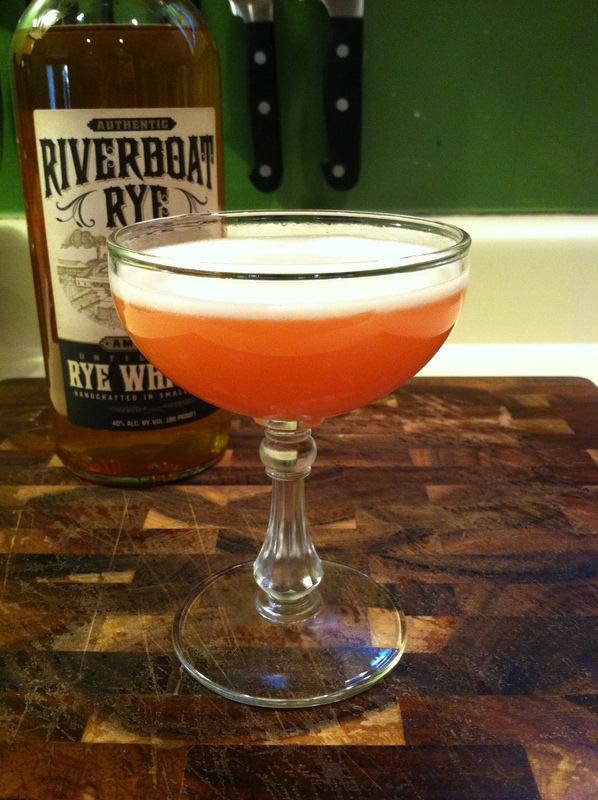 Over time however, rye whiskey gained in popularity as cognac’s popularity with the public decreased, and now the Sazerac is a rye whiskey drink. 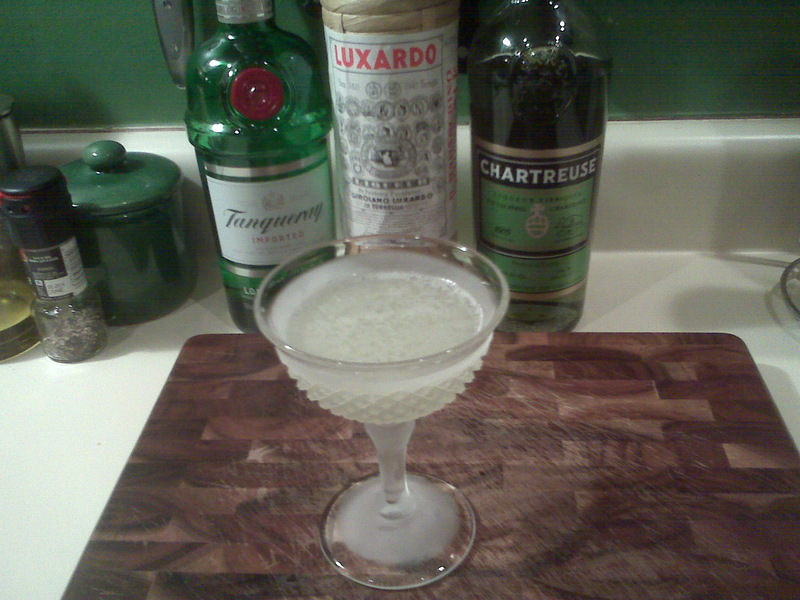 I think another reason I became intrigued and obsessed with trying this drink is the fact that it contains absinthe, and so it seemed to me that it’d probably be a while before I could make this drink myself, since absinthe’s pretty darn expensive. However, it dawned on me this morning that my spirits store, Friar Tuck, sells miniature “sampling” bottles of many liquors, a couple of which I think were bottles of absinthe! So, I’m going today to get get a little bottle for around $6.00 I think. This is actually perfect too, because I’m really only buying the absinthe for this drink, and this drink only calls for enough absinthe to coat the inside of the glass. So this tiny little bottle should last quite a while for the purpose of making Sazeracs. 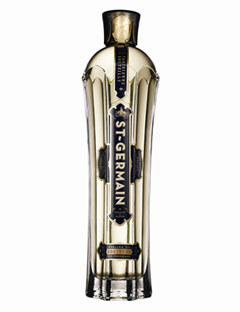 Another item I need to pick up at the store today is a bottle of Peychaud’s bitters. 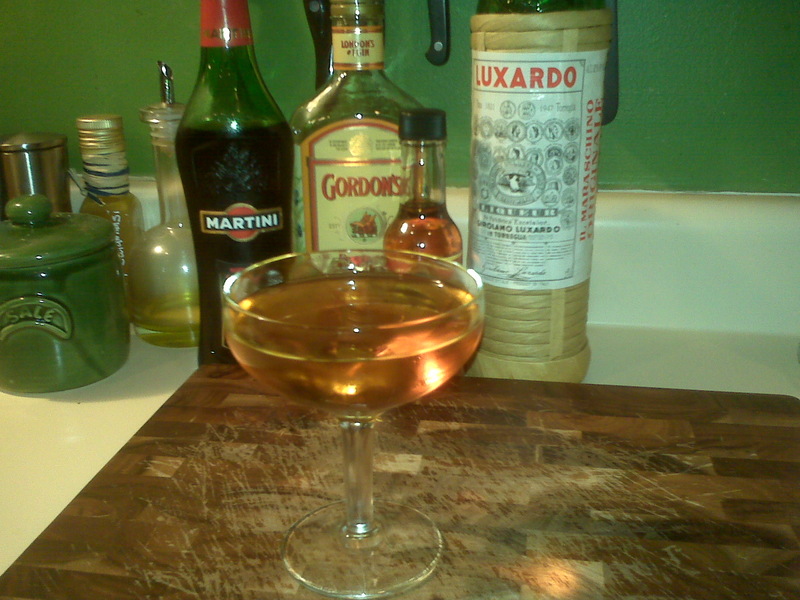 The Sazerac recipe calls for specifically Peychaud’s brand of bitters. 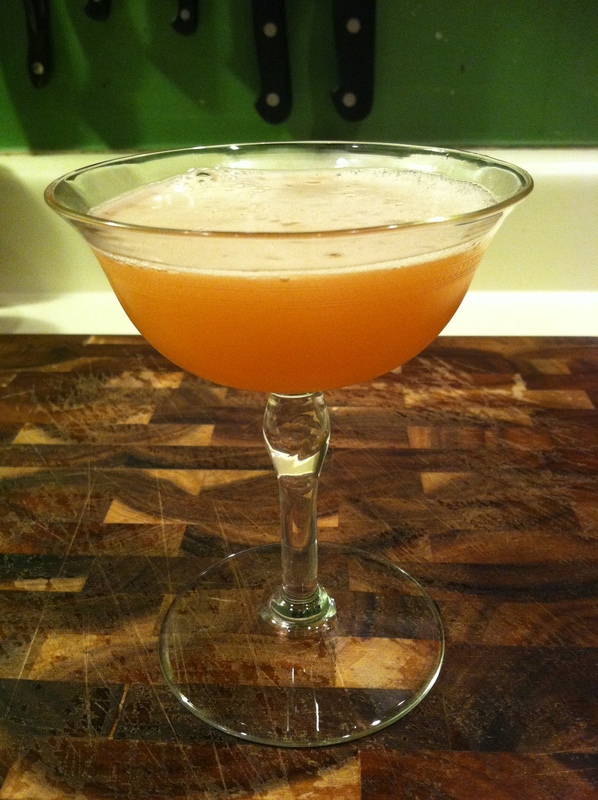 Apparently, Antoine Peychaud was a Pharmacist in New Orleans and he concocted this special blend of spices and botanicals, and using his bitters, his pharmacy was actually the birthplace of the Sazerac cocktail. 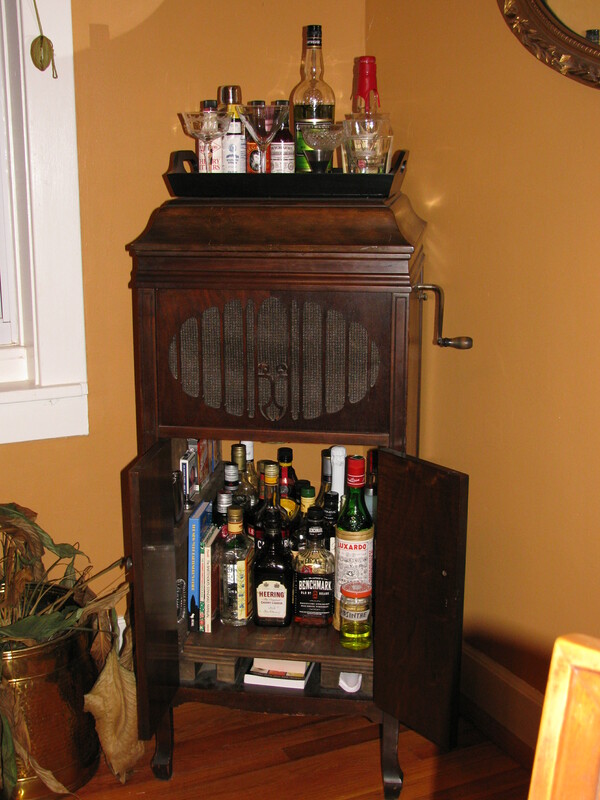 (His pharmacy seems alot better than my local Walgreens… The closest thing I can get to a Sazerac at my modern pharmacy is Four Loco. Actually, I guess Four Loco is a good modern equivalent though to a drink that contains absinthe, since both Four Loco and Absinthe have reputations for seriously harming one’s physical health and possibly killing you, but I digress…) Anyways, that’s my objective today… to purchase the Peychaud’s bitters, a little bottle of absinthe, and a lemon, and be on my way to trying a Sazerac for the first time this weekend. This drink is really easy to drink… it’s really easy to make and it’s really refreshing and tasty, and it looks really pretty too! My wife loves it, and I agree. 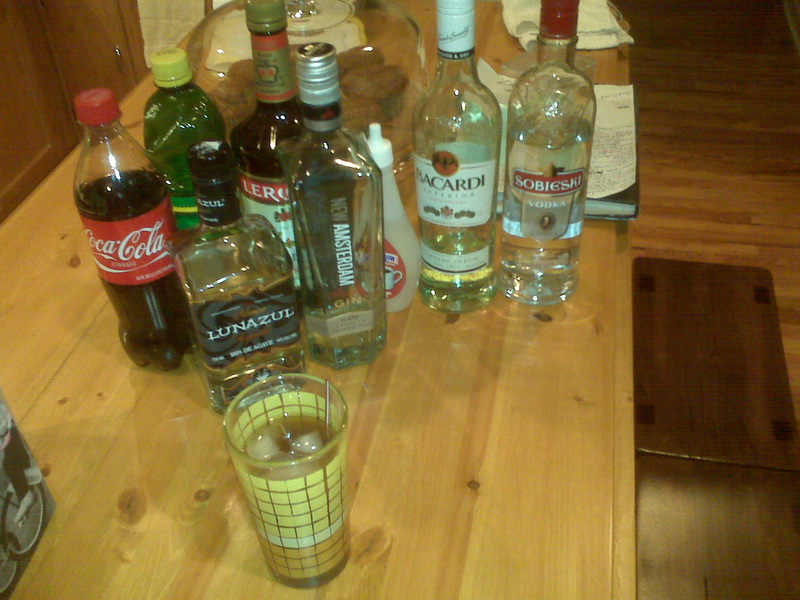 It’s just a really fun, easy drink, that’s really tasty. 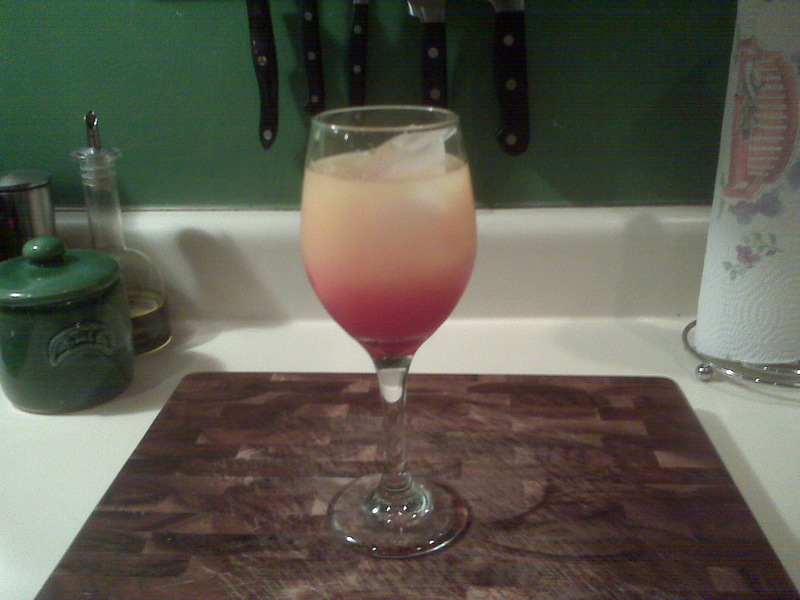 Fill a highball glass (I prefer to use a good sized white wine glass, like the one pictured) with ice, and build (no stirring/shaking necessary) the tequila, followed by the orange juice, and then lastly pour the grenadine slowly through the drink to create the “sunrise” look. Lovely! 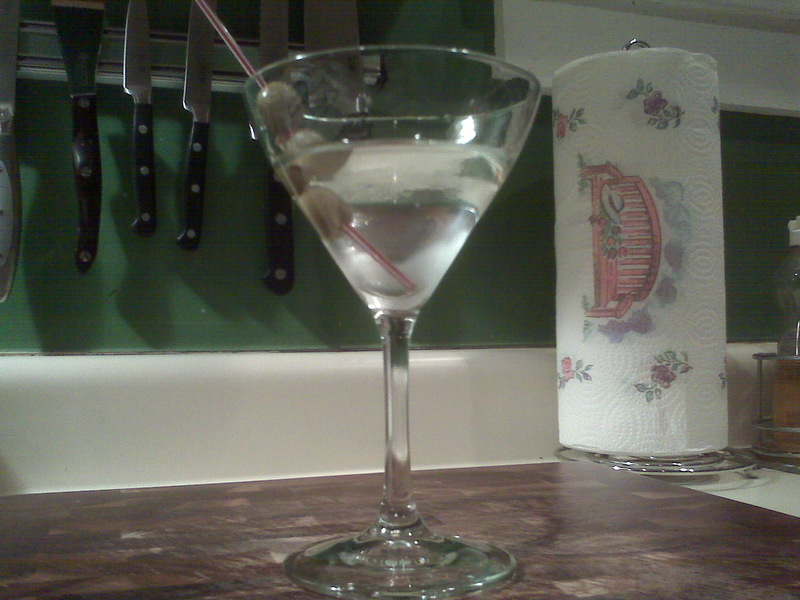 Most people remember James Bond ordering his martini “shaken, not stirred”. 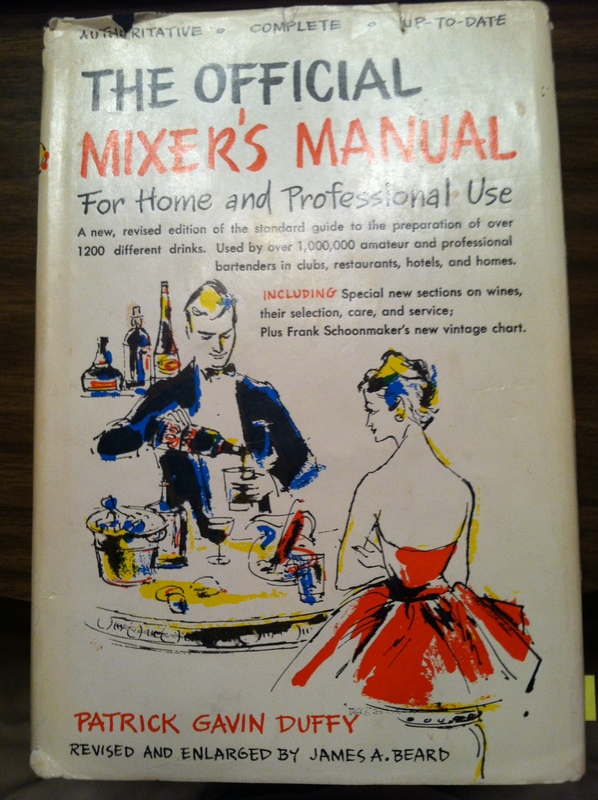 However, the general rule is that a bar tender stirs drinks with ice when all of the ingredients are alcohol based, and shakes drinks when the recipe includes fruit juices and other non-alcoholic ingredients. 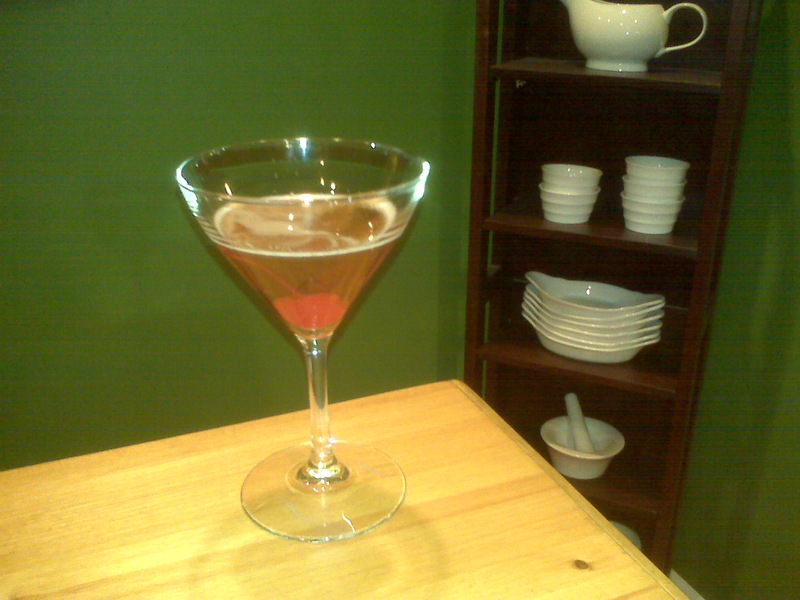 So, the general rule is that a Manhattan and Martini should always be stirred to mix with ice, rather than shaken. However, there is no right way and wrong way to drink… One should do whatever they want to get the drink however they like it. 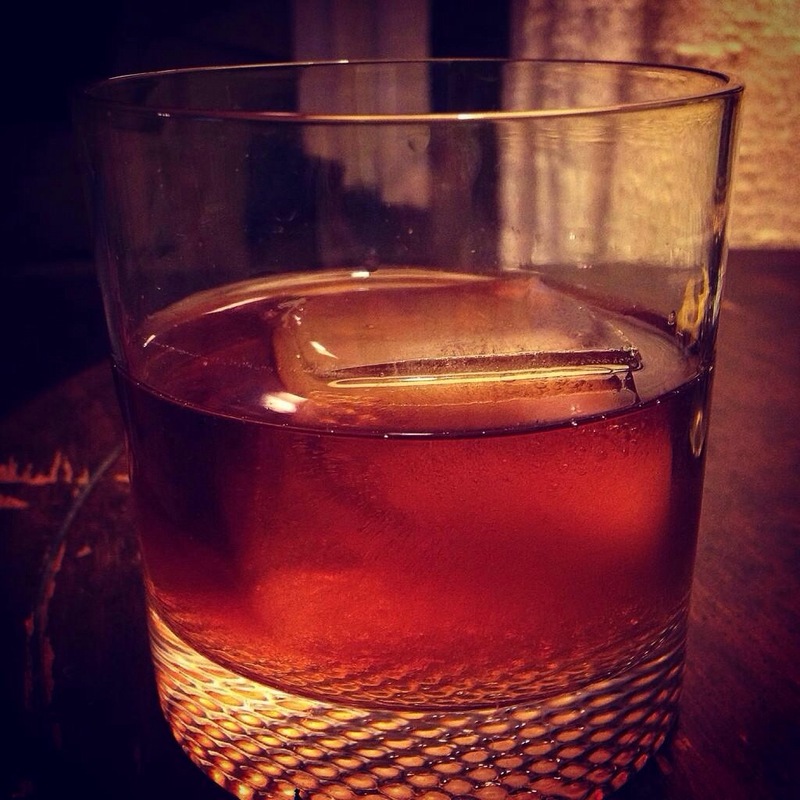 I’ll stir a Manhattan and Martini 95% of the time, but every now and then, I do tend to enjoy the frothier texture one gets by shaking a drink as a result of small ice chips breaking up in the shaking process. 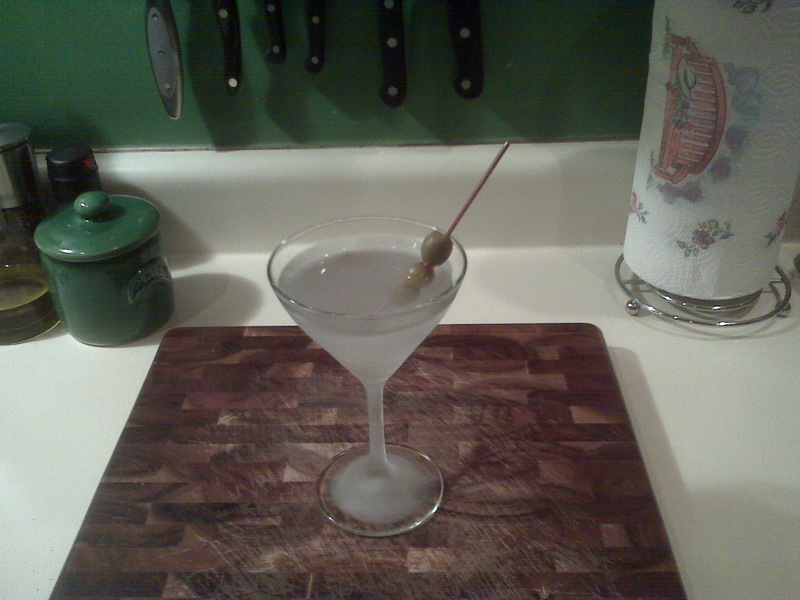 So once in a blue moon, I will in fact shake the martini. 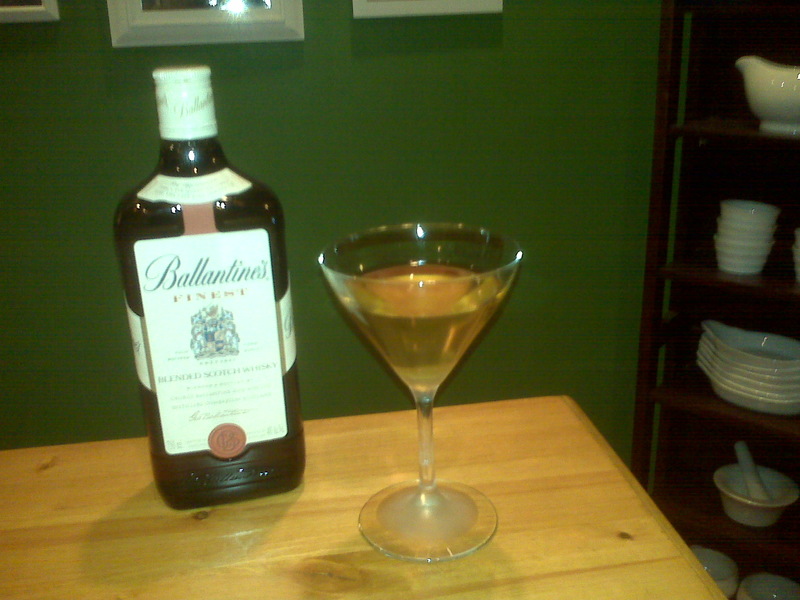 You can kind of see the difference in the picture below of a shaken Martini – it’s not quite as clear as the picture of a properly stirred Martini above. 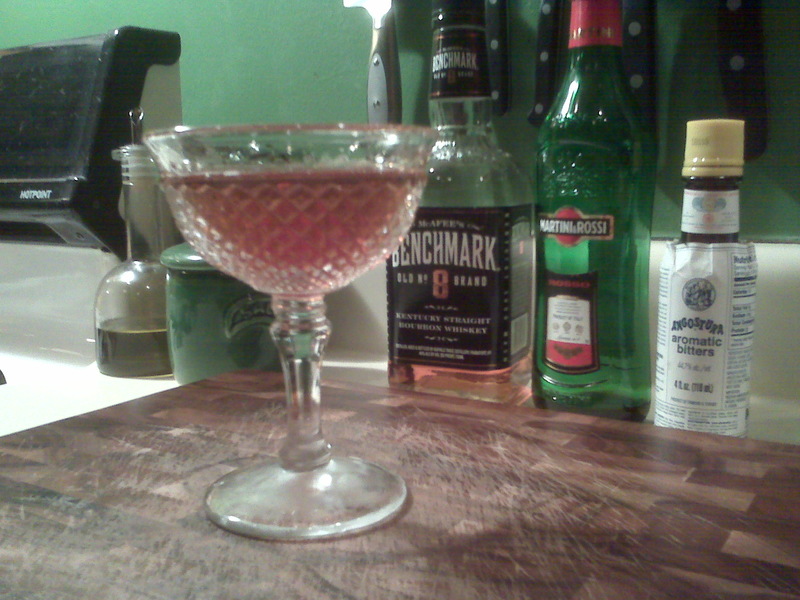 And last, but not least, here’s the recipe of my next adventure… the Sazerac! We’ll see if it lives up to the hype. Welcome back to Scientist McGee’s! 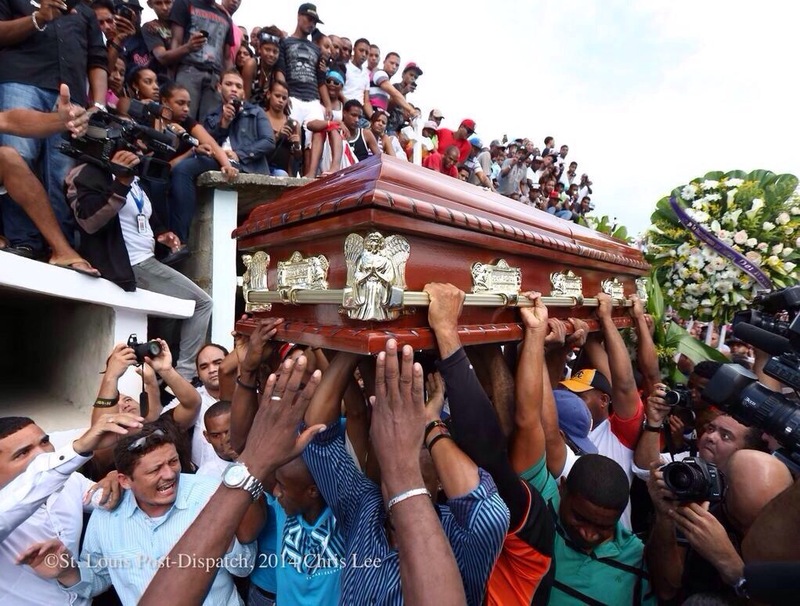 This is my second blog, and I’m glad you could make it. Well, like I mentioned in my first post, I’ve been taking photos of each cocktail I make. 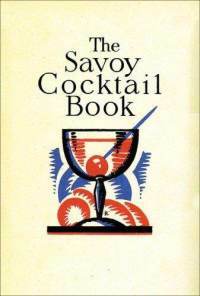 Well, not each and every one of them… I think maybe about a third of the cocktails I’ve made… I don’t always think to do this. Like I don’t have a picture of a Martini or a Manhattan or a White Russian or a Gin & Tonic, so I guess I mainly remember to take a picture when I’m trying a new cocktail for the first time. To catch up to present day, I wanted to post all of the pictures I have thus far. Some of these I actually only made once. Not because they’re not good necessarily, but well… I don’t know why. I guess they just didn’t strike a chord with me enough to return to. Most likely it’s because they were just average. I didn’t fall in love with them… but I didn’t hate them either. (If I hate one, I’d remember it… like the Long Island Iced Tea.) So some of them I don’t have a strong enough memory of them to say much about them, so I’ll just list the recipe. Anyways, this is the 2nd and I guess last post that’s more about catching you, the readers, up to speed to where I am today… starting with last summer and my Schnucks gift card, to early Spring 2011 today. Now, with my first post being an introduction and this second post being a gallery of my “hits and misses” over the last 3/4 of a year, this brings us to modern day… and you know what “modern day” means, right? 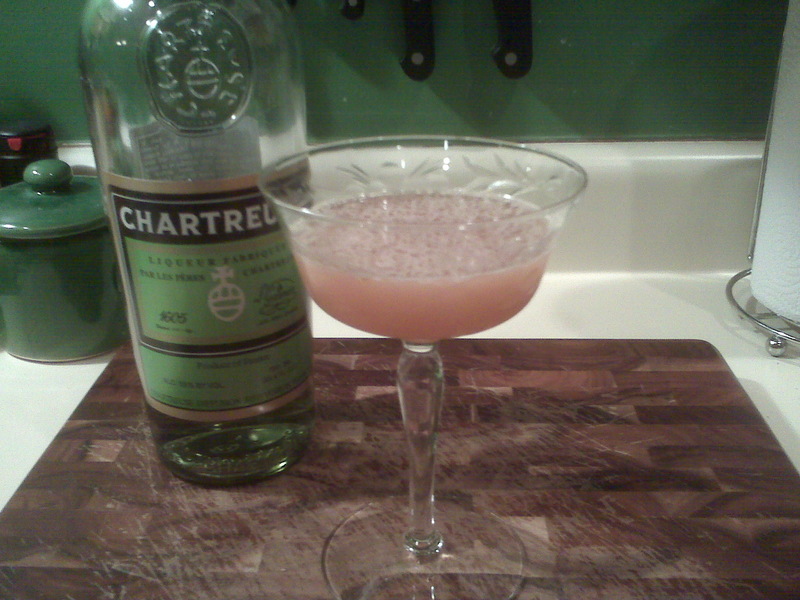 That’s right – my first very own bottle of Chartreuse only 4 days away! Remember, as you walk through my gallery of 2010/2011 cocktails, and later on through new ones I try… If anyone has any suggestions, recommendations, questions, comments, etc., please by all means, let me know… I’d love to hear what you suggest! 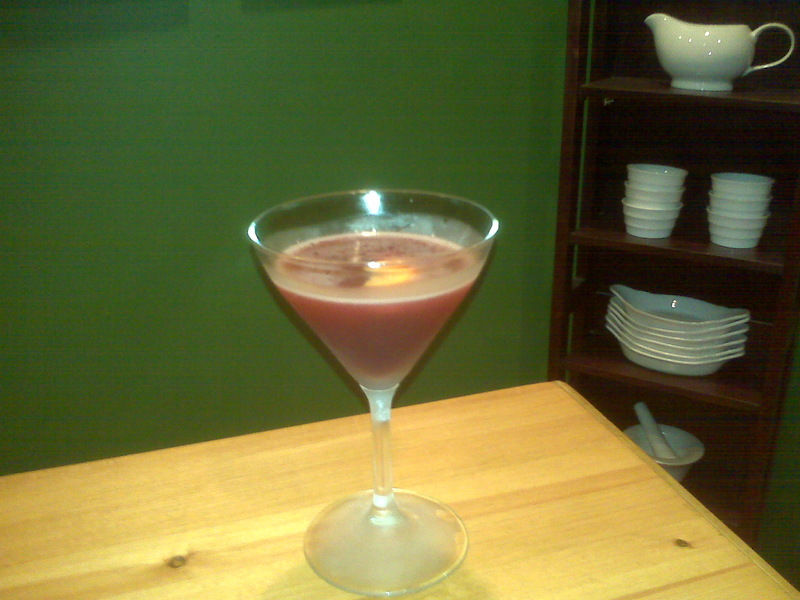 This is one I made when I bought my bottle of Campari, an Italian aperitif that’s an infusion of herbs and fruit which is pretty damn bitter. The jury’s still out on what I really think of Campari. When I tried this drink, the Old Pal, I was not thrilled. It was pretty bitter if I recall correctly. However, I did like the Negroni (gin, Campari, sweet vermouth) I tried, in addition to the Venetian I tried about a week ago (gin, Campari, dry vermouth, amaretto, and a lemon twist). 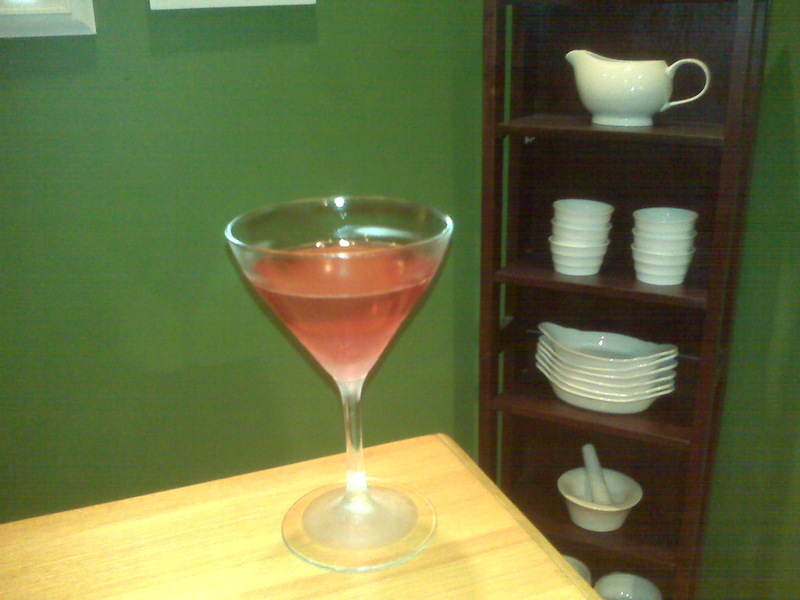 However, like I said the jury’s still out on Campari. I am indeed warming up to it, and finding that I do crave it some times, but it’s just so bitter, that it’s not always satisfying to me. 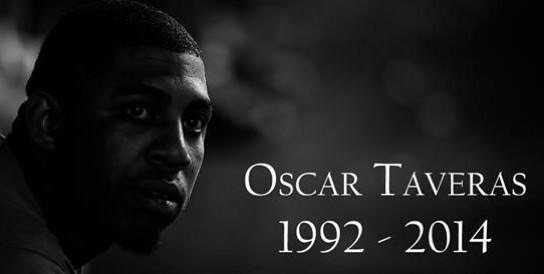 Only time will tell, I guess. 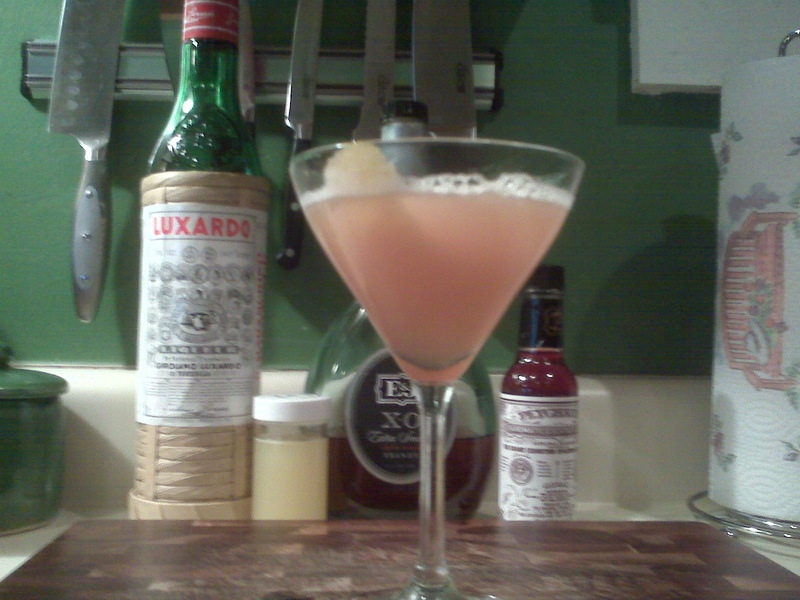 This is a cocktail that I made up for my wife to toast the launch of her new online business, “The Knit Knot”. 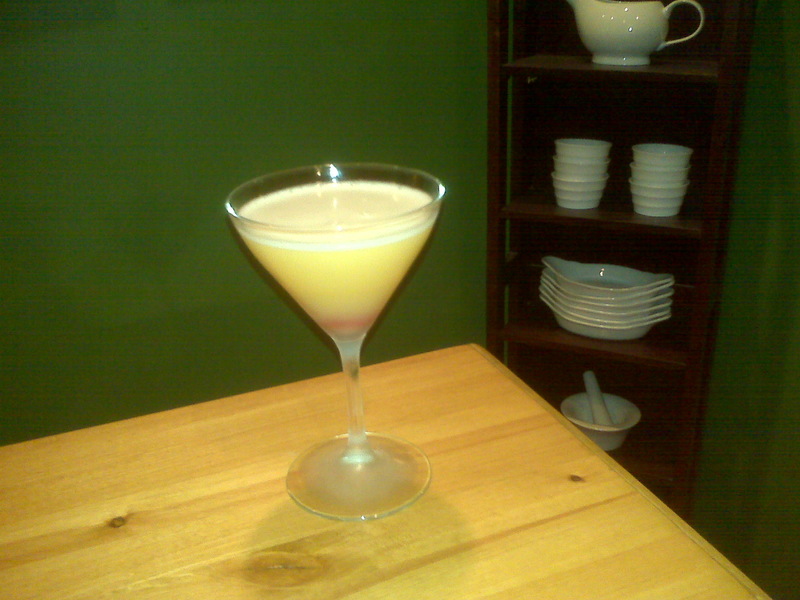 I made this drink with her in mind, based upon a combo that she’s loved for a long time – vanilla and orange juice. She says it tastes like an Orange Julius from the mall. I think it’s actually quite better than that. It’s pretty damn tasty, I must say. 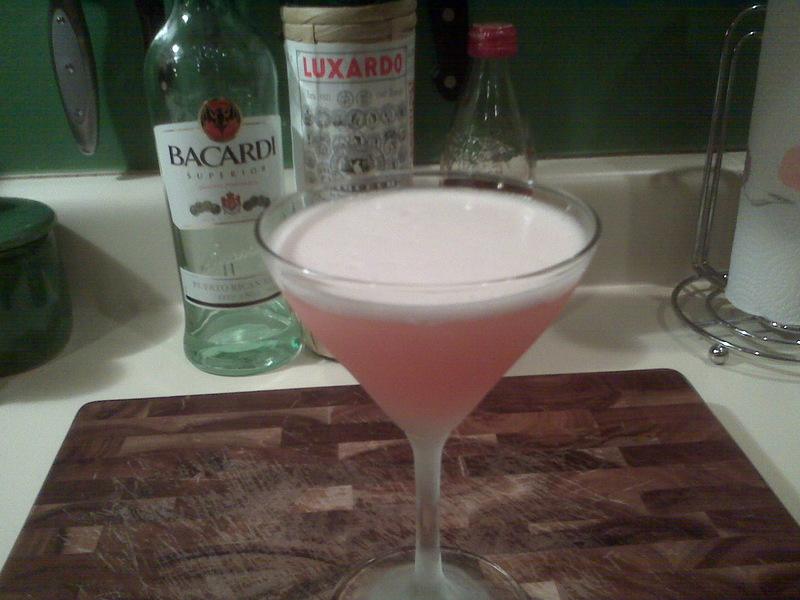 And I add a maraschino cherry to add one more note and an extra cute color. 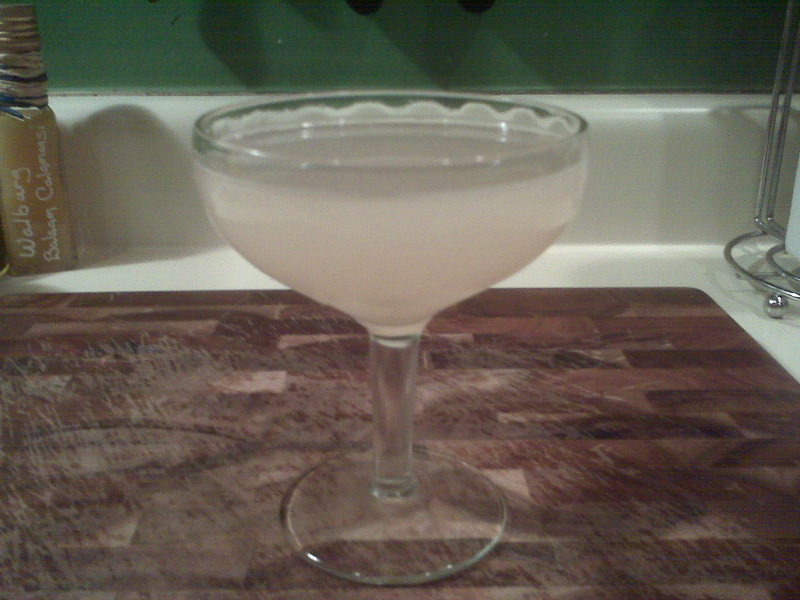 Shake and strain into a chilled, salt-rimmed cocktail glass. 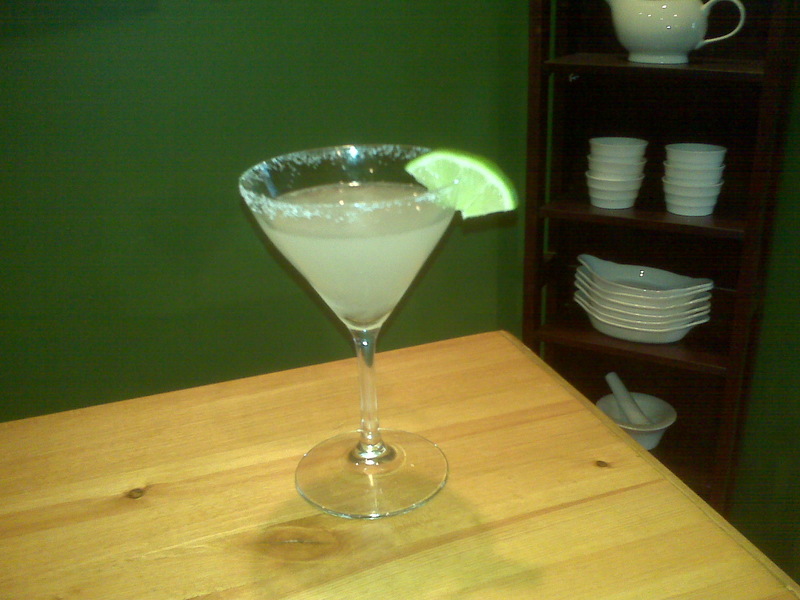 One of my least favorite drinks to date… I just thought that this drink tasted like a muddled, sweet sugary mess. I’m not a fan. 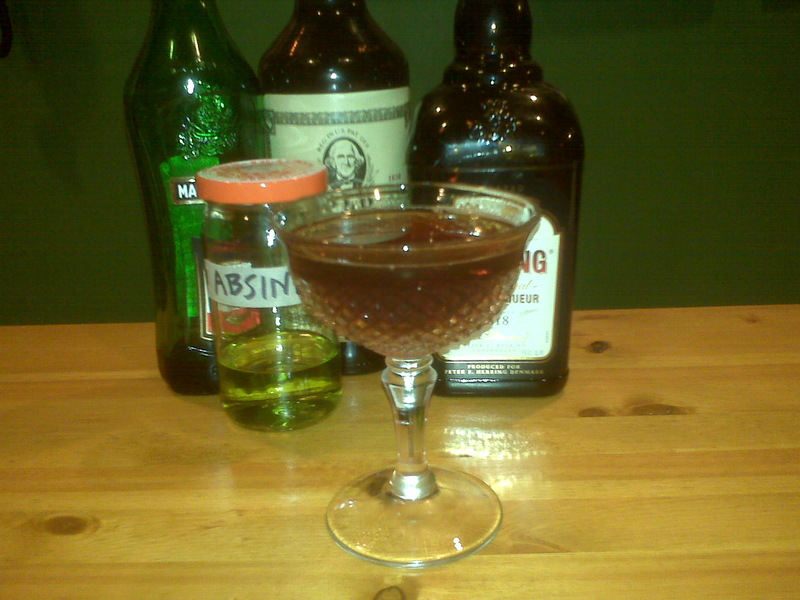 Maybe I just made a bad version of this drink? I don’t know. 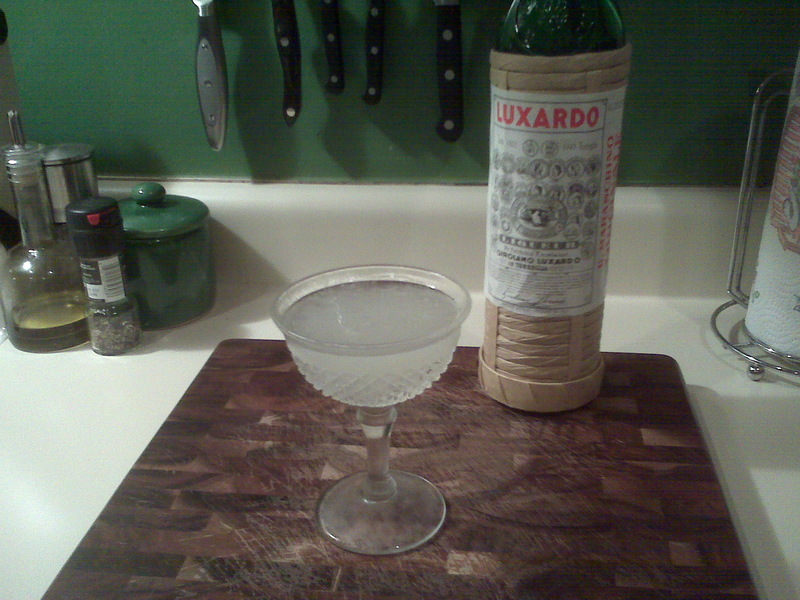 Stir and serve in a large glass with ice. 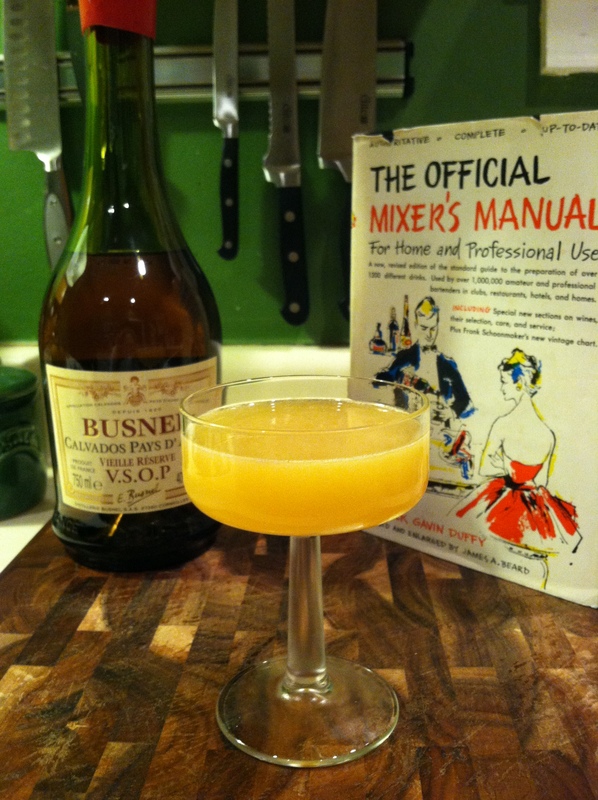 Originally appeared in “How to Mix Drinks” by Jerry Thomas in 1862… This was a very good drink! 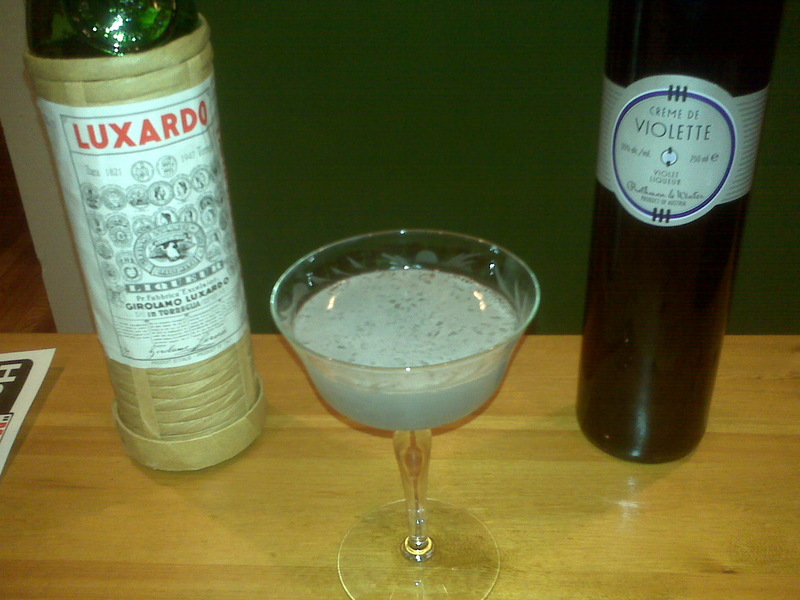 Legend has it that this drink was improvised by an American soldier out in the French countryside during WWI. 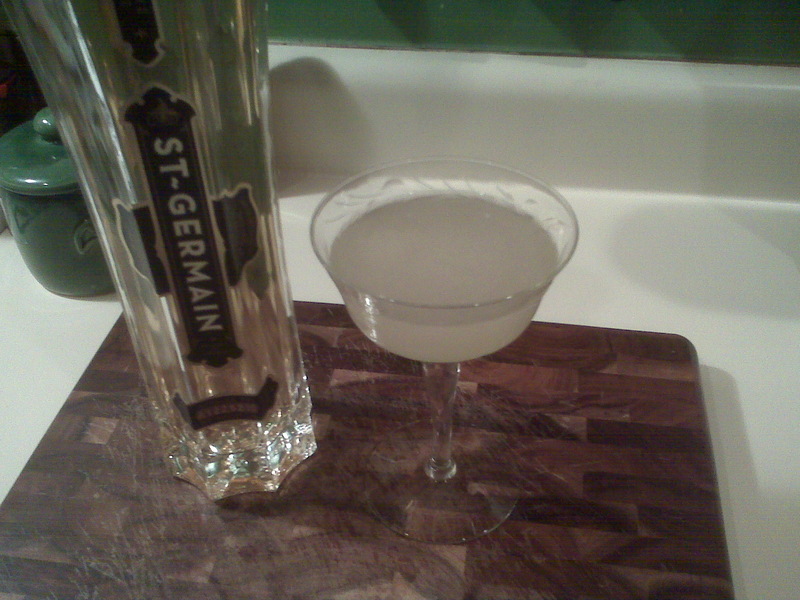 Shake and strain gin/cognac, simple syrup and lemon juice in to a flute, and then top with champagne. 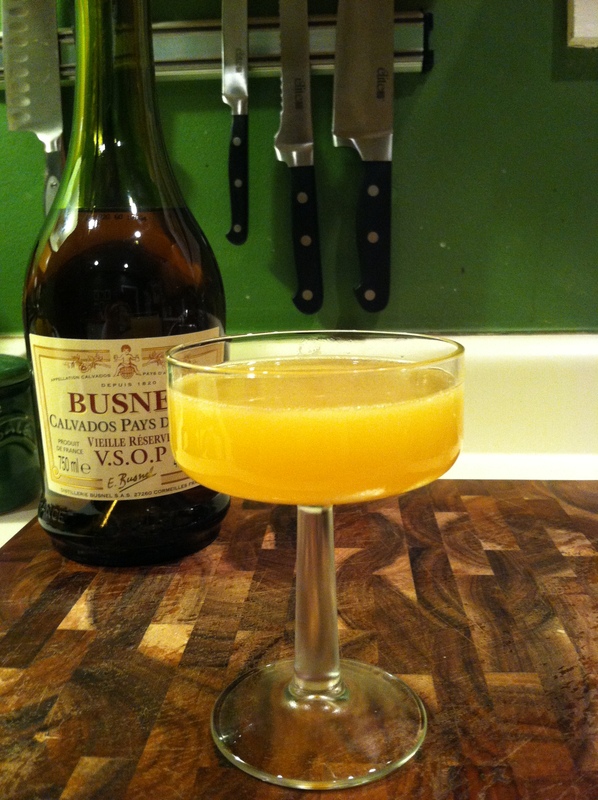 Invented at the Buck’s Club in London in the 1920’s, this was the inspiration for the Mimosa. This was delicious and top notch! 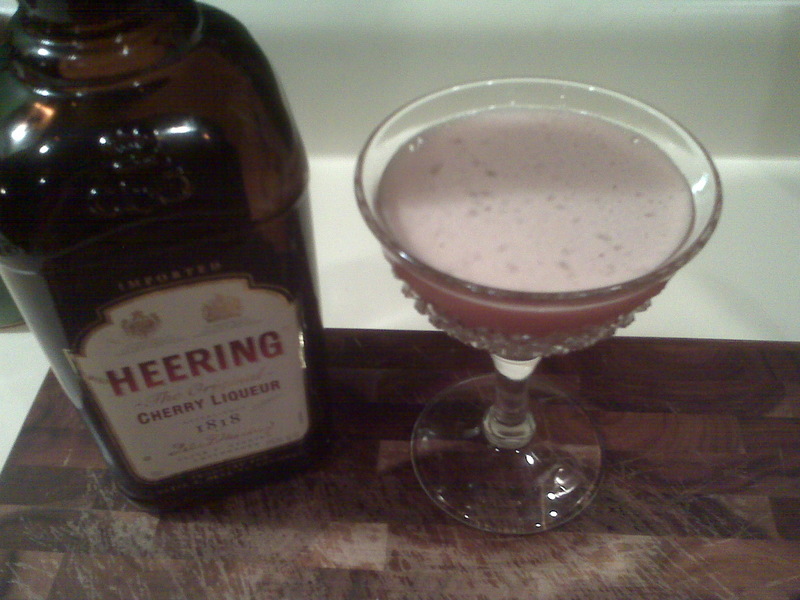 Shake OJ, gin and Cherry Heering with ice and strain in to a flute, topping it with champagne. Pour OJ in to a flute, fill gently with champagne and the drink will mix itself. 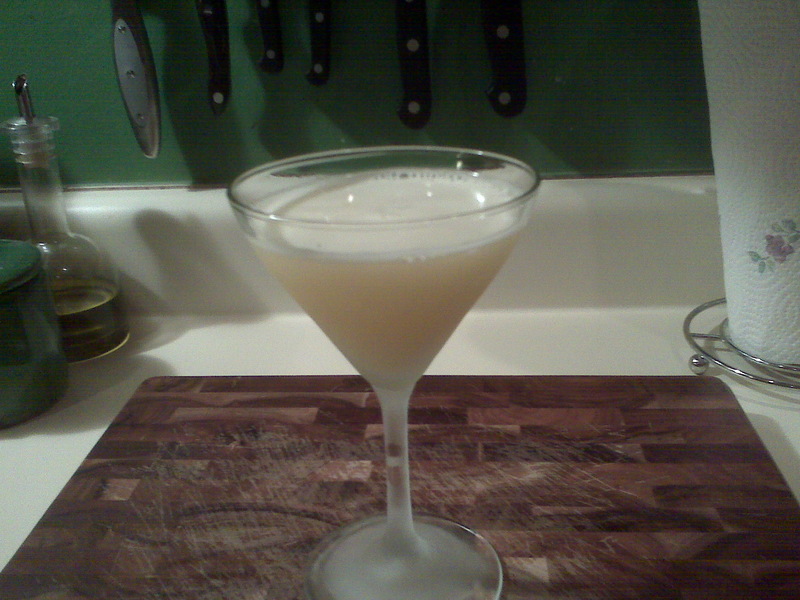 Optional: Top with a 1/2 oz float of triple sec for an extra kick. -While I credit the books/websites I got the recipe from, sometimes I modify the way the recipe’s written. For example, obviously freshly squeezed juice of any sort is better tasting than juice from a carton. But hey, I don’t need to specify “freshly squeezed” vs. not. That’s up to you, eh? If you want to take the time, squeeze the juice yourself, if not, then pour the juice you have in the fridge. -Also, I may modify the recipes in different ways too. 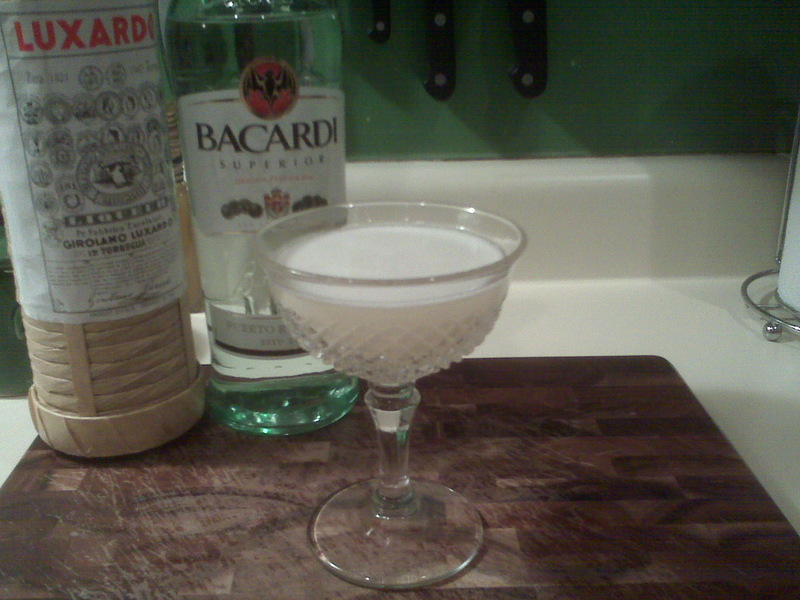 I don’t own any Cointreau, so usually, I’ll substitute triple sec for where most recipes specify Cointreau. Maybe some day, I’ll own some Cointreau, and I’ll know what I’ve been missing, but until then, I’ll specify triple sec, and if you want to use Cointreau, go right ahead. -Also, the pictures shown here are usually ones from a week night, so the chances of seeing a garnish that it calls for are slim to none.